The Cisco Telecaster 7960 VOIP (voice over internet protocol) phone was the first major customer-facing product to be shipped by Cisco. The Telecaster series brought Cisco “out of the closet” and onto user’s desks, thereby enhancing consumer awareness of Cisco’s offerings. As one of the first generation of VOIP phones, the Cisco 7960 was an unrivaled success. 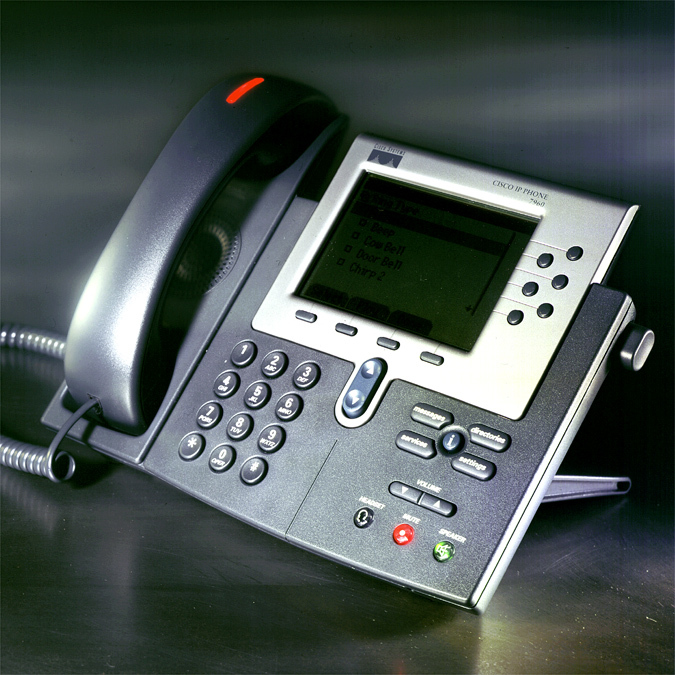 The VOIP phone series proved to be reliable, ergonomic, and intuitive. The design was also scaleable, supporting future features and applications. One of the company’s most successful launches, the iconic Cisco 7960 series proved to have stage presence. Favored by Hollywood, it has become an iconic reference to connected VOIP services and has been featured in the television show 24 and in films including The Bourne Supremacy, Transformers, and Iron Man. Cisco Telecaster 7960 VOIP phone: Designing an iconic communication device. Management of multiple VOIP lines was made possible through the intuitive line management zone on the display and corresponding physical keys. Context sensitive soft keys and their associated actions were presented to users along the lower portion of the display. A recent calls directory, which users were becoming familiar with on their own personal phones, helped ease on-boarding. Main modes of use, including messages, directories, services, settings and context-sensitive information, could all be accessed by a physical mode key cluster. Other controls, such as volume or speaker and mute buttons, were also made available. A bright red message light was light-piped through the handset informing users of pending messages.